Paul Onslow: With the destruction and loss of most of the Dairy Farm archives and virtually all photographic material (read further on for more details) much of what is known about the history of Dairy Farm was documented by the great Hong Kong historian Nigel Cameron in his 1986 book ‘The Milky Way – The History of Dairy Farm’. Nigel carried out years of extensive interviews with many people recording their memories, drawing from their collections of old snapshots and more formal photographs. 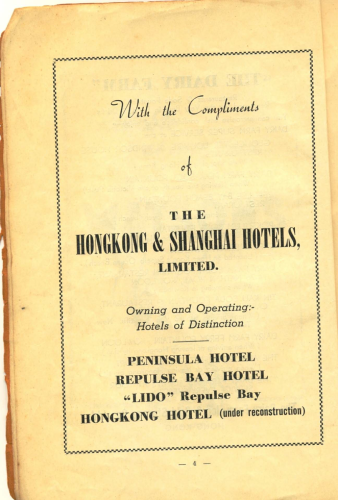 Former staff of the company, many of whom were retired, were visited or corresponded with overseas, drawing on their recollections of their years in Hong Kong with the company. He resuscitated these memories and pieced together old snap shots from albums of the past to tell the history of Dairy Farm. After World War I the Dairy Farm Company was impacted by many external matters beyond their control with strife within Hong Kong, civil war in China and the disturbances that would eventually result in World War II. Despite these hick-ups the company rode the storms very well and prospered overall – until the Japanese marched into Hong Kong on the 25th December 1941. In 1919 Hong Kong experienced its first widespread outburst of labour unrest when soaring commodity prices left thousands hungry and the onset of the so-called “rice riots” resulting in widespread looting and the government commandeering rice supplies and setting up “Congee Kitchens”. Dairy Farm was affected by the unrest and also had significant losses of cattle to disease which plagued the livestock up until 1922. Yet the company was still able to declare a dividend to share holders and give a 15% bonus to its staff. This was a reward for the staff’s loyalty during the general strikes and unrest of 1922 when industrial action brought the colony to its knees. Trouble was to surface again with the Anti-foreign riots that began in Shanghai and quickly spread through Canton to Hong Kong. As a result Hong Kong’s share of China trade between 1920 and 1930’s dropped to a meager 10% and remained under 20% until World War II, naturally Dairy Farm’s sales slipped. 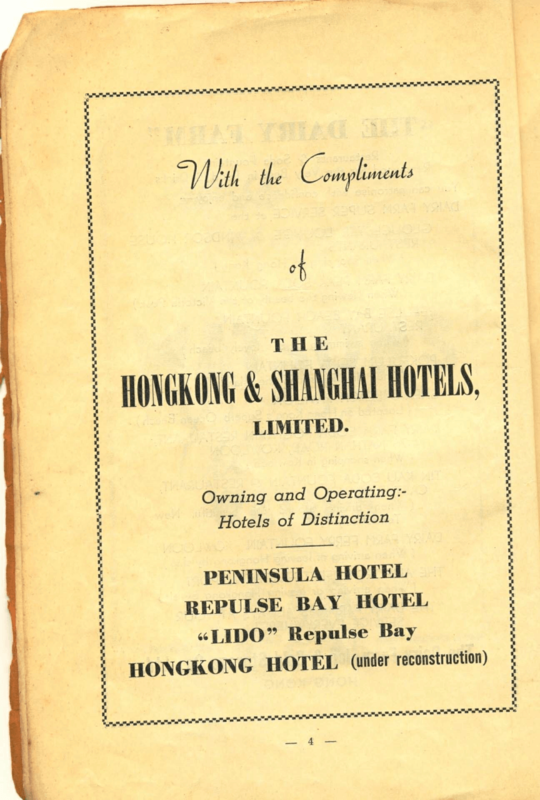 The company however during these difficult years continued to reinvest in remodeling and merchandising the farm in Pokfulam and posted a record profit of HK$650,000 in 1928. By the mid 1930’s the Company operated the largest and most modern farm in Southern China, had a monopoly on ice-making, ran 6 retail stores and was the largest supplier to ships calling at Hong Kong. Catastrophe was to strike Hong Kong again in 1938 with one of the most severe typhoons to hit the colony with little warning, over 10,000 people perished with severe damage to rice crops, locally grown animal foodstuff, rice straw crops and the grass pastures, again external forces beyond the company’s control had an impact on the business. 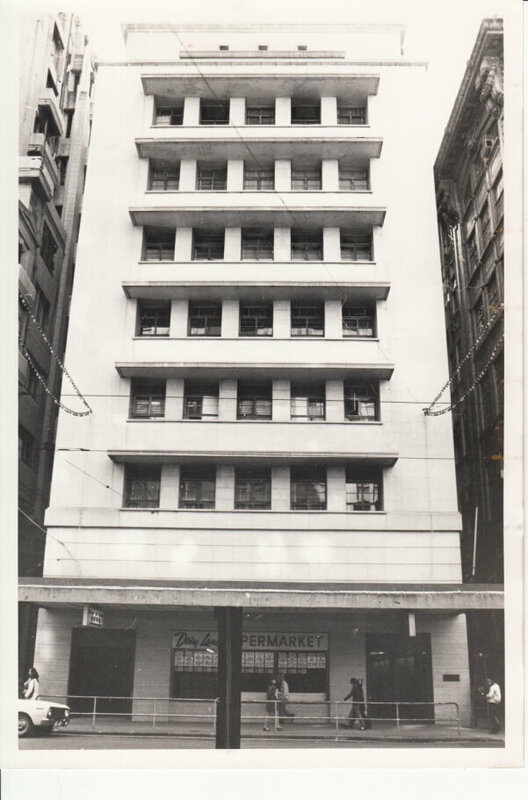 By 1941, Dairy Farm had moved its offices to its new headquarters in the new Hongkong Land building Windsor House on Des Voeux Road Central which replaced the old Powell’s Building, they also opened new cold storage facilities in Kowloon, opened its first soda fountain restaurant “The Lido” in Repulse Bay and started up a scheme for supplying fresh milk to schools. These good times were quickly to come to a halt as the Japanese military were on the march occupying Hong Kong by December in the same year. The military occupation was a disaster for the 1.6million people of Hong Kong, Dairy Farm and its staff were no exception all but a handful were marched off to internment in the camps, the remainder were those who were forced by the Japanese to keep the farm going. A lot of information and horrific stories have been published covering the accounts of the Japanese military occupation of Hong Kong. 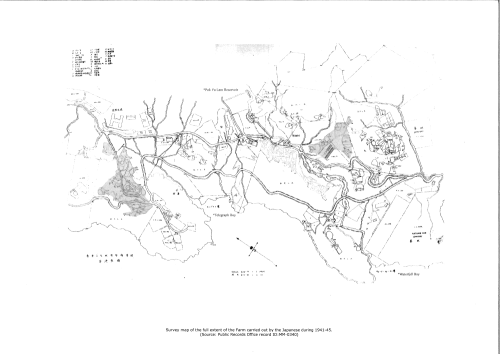 During the occupation of Hong Kong the only known survey map of the Dairy Farm was carried out by the Far Eastern Economics Bureau of Hong Kong under the supervision of the Information Department of the Japanese Government. (Source: Public Records Office). The survey map, shown below, covered all of the Dairy Farm properties spanning over the whole of the hillside from Sassoon Road down to today’s Wah Fu Estate. 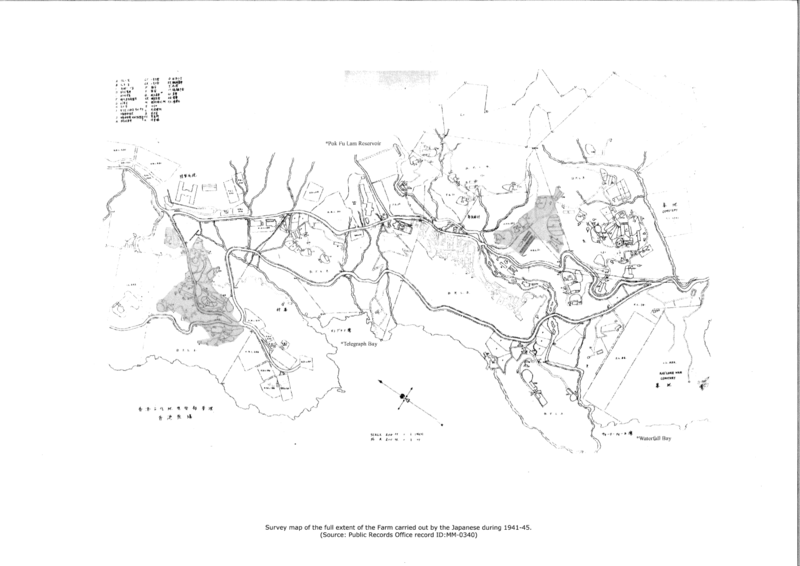 What is interesting to note is that all of the properties whilst separated were all located along the original water streams a vital requirement for the farm which required an abundance of fresh water. 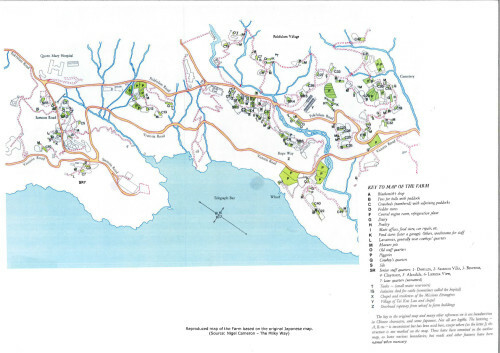 The Japanese map was reproduced by Nigel Cameron in English. 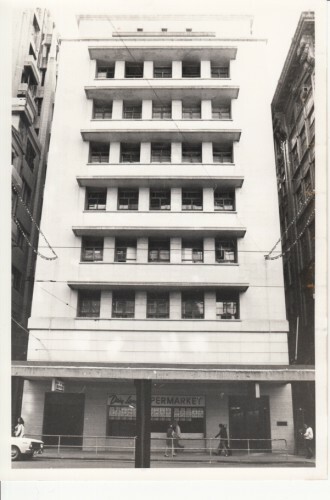 At the onset of the Japanese occupation of Hong Kong, Dairy Farm’s company records and its complete archives were stored at Windsor House, the new Hongkong Land office development completed just prior to WWII. Apparently an Armenian company employee who was not interned, and forced by the Japanese to run a restaurant in the building, attempted to save them. When the Japanese gave the order to destroy all such documents he sent them to their old offices in Lower Albert Road where they remained safely until toward the end of the war. They were again discovered by the Japanese who again ordered them to be destroyed, this time there was no such chance of saving the documents and all were burned. Company meetings were resumed at the camps and detailed accounts are recorded in the book “The Milky Way”, it was also learned at that time that most of the cattle had been shipped out of Hong Kong to various parts of China by the Japanese to provide milk for their troops. Prior to the Japanese occupation there had been around 1900 head of cattle in the herd at Pokfulam, when they returned to the farm after release from the camps there were only about 300 animals in very poor condition due to malnutrition. Interestingly during internment at the prisoner of war camps company directors from both Dairy Farm and Lane Crawford, bitter rivals prior to WWII, agreed to smooth out ‘competition’ and how best to resume trading after the war. The Dairy Farm was allegedly one of the first company’s in Hong Kong to resume business after the war and virtually restarted from scratch. Company records had been destroyed though two books containing board meeting minutes survived (1907 and 1920). Livestock was in poor health and depleted, most plant and equipment either destroyed or looted. Post war recovery estimated around HK$2 million in losses and the loss of the share holder register, whatever were Dairy Farm losses there was a much greater need of feeding the Hong Kong people and by 1947 business had recovered and the company was profitable again and moving into new lines of business.